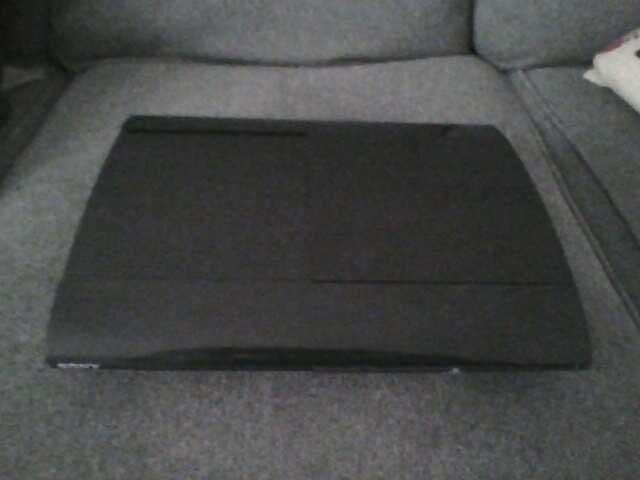 I managed to get a super slim model (with the cool top-loading sliding tray) for £90! To put that in perspective, they go for £160 at game! “Hold on! Did you used to say you hated the PS3?” I hear youse moan, and alright, I’ll say it, I’m a hypocrite, but some PS3 games have shown that the console is in fact, quite powerful, it’s just hard to program for 3rd party developers, the PS2 was as well compared to the Dreamcast, meaning theoretically, if any games were on both consoles, the DC version might’ve been better. Anyway, back on topic, another complaint I had with the PS3 was it’s excessive features, well, the super slim seems far more focused on games than it’s big brothers, there’s still a bit of it-does-everything-you-don’t-want-to-do kind of vibe to it, but not as much as the original one. Also, I really wanted to play No More Heroes: Heroes Paradise, Wipeout HD and Haze on it, so I had to get one anyway. 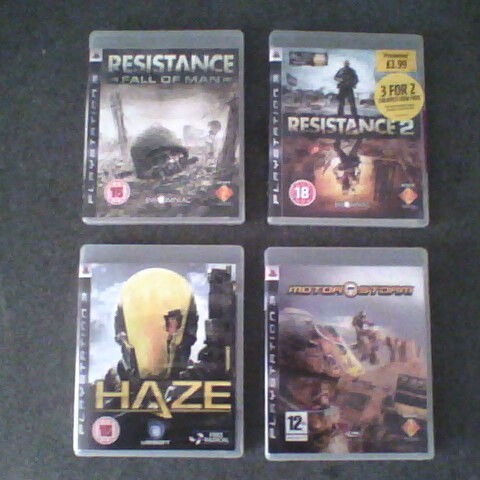 Anyway, speaking of, I got Haze, plus Motorstorm, Resistance 1 & 2. “Wasn’t Haze supposed to be a terrible game?”, well, that’s what the critics and band-wagon-jumpers all say, but as time and time again, I’ve played games everyone seems to hate, but I end up really enjoying, such as Enter the Matrix, Rambo: The Video Game, Soldier of Fortune: Payback, everything made by Acclaim, anything the original Xbox, even the Atari Jaguar! 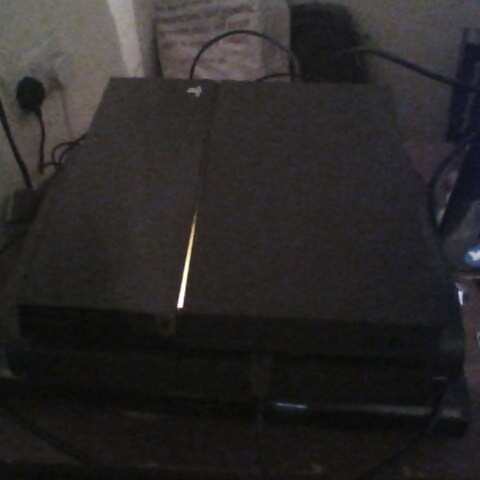 That’s right, I got a PS4 today! I was planning on getting one of these for a while, more a less ever since I’ve heard that WWE 2k15 is coming to PS4 and Xbox One, but not the PC. Yesterday, my mum asked me if I wanted to go to GAME and get my PS4, since there was a deal on PS4s right now where you get a PS4, plus a handful of games for £400, even though most of those games are also available on PC, the only exception being Last of Us, which was sadly a Download code. 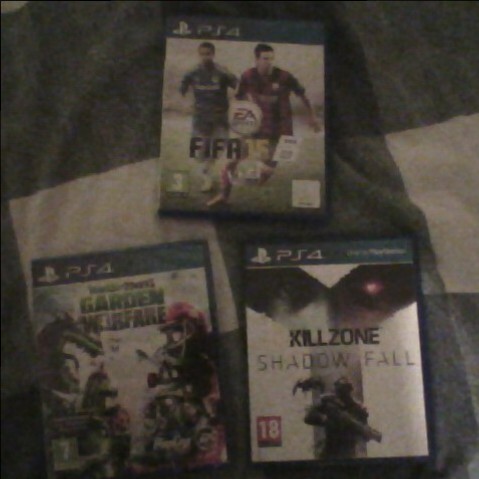 Despite all of that, I thought it was a decent deal, so I went for it, and I also got Killzone: Shadow Fall for £10 with it. 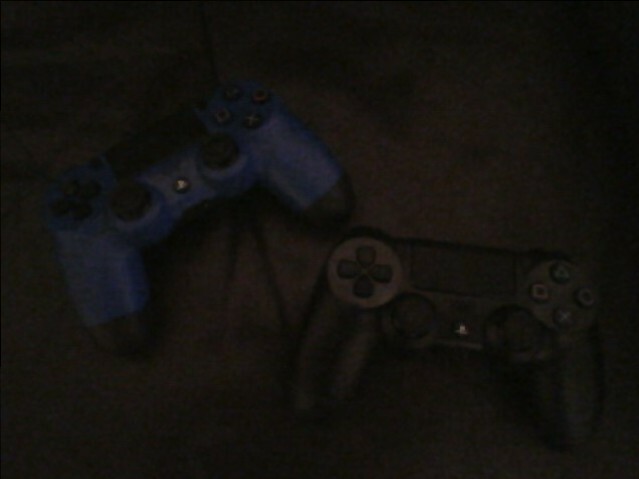 It’s hard to tell what I feel about the PS4, I’m very exited to play WWE 2k15 on it, but there’s not much to play on it so far, I only want to play Killzone: Shadow Fall until I complete all of the previous games, regardless of any resemblance to previous games, and the Last of Us has yet to fully download it’s 9GB of content! It’s frustrating, it’s a new, high-tech, top of the range machine (to an extent), it has some awesome features on the PS Vita, such as being a second screen, and being able to access your PS4 from anywhere in the world, as long as you have a Wi-Fi connection, and the plug the PS4 is connected to is on. Here are all of the games I have for it right now, not exactly spoiled for choice, am I? 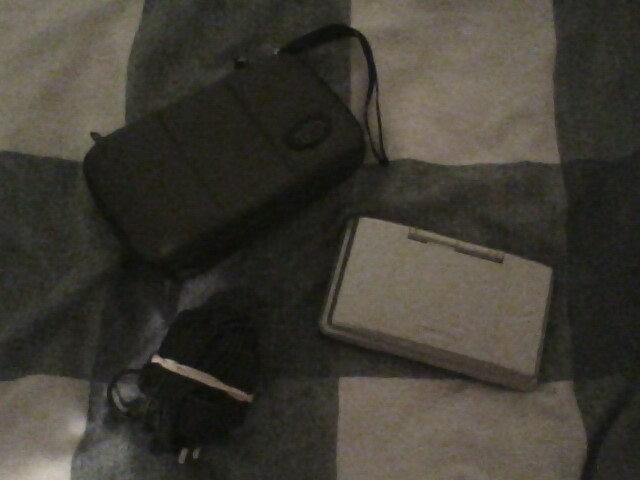 In other news, on the exact same day, at the exact same time, I picked up an original DS! Why would you get one of those? You may be asking. 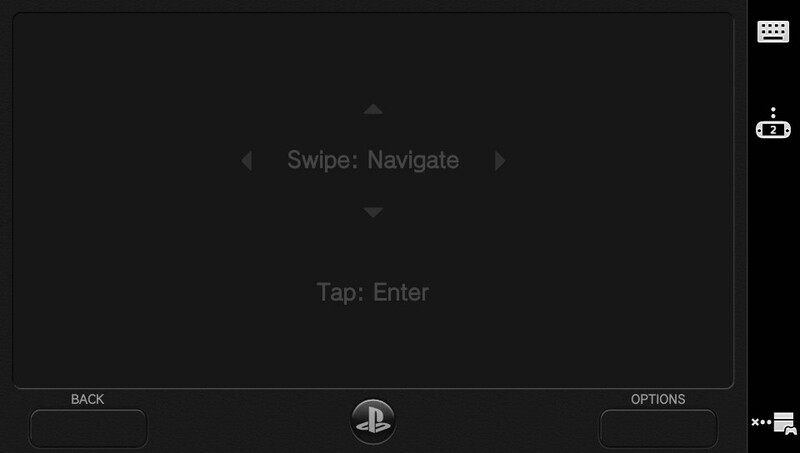 Well, for one reason, and one reason only: The GBA Slot. You see, I have this game called Tony Hawk Motion for the DS, and has motion controls, but the motion pack uses the GBS slot, which means I can’t play it on my 3DS, so I got this to play it on. Isn’t Tony Hawk Motion awful, though? Well, that’s what I heard, but it wouldn’t be the first time my opinion of something differs greatly to everyone else’s. Surprisingly, it’s not that bad, I was pleasantly surprised, the controls actually function, and I rarely get any hiccups with recognising movement, it seems solid to me. The game itself is okay as well, it seems more refined than previous DS Tony Hawk games I’ve played. Would I recommend it? Probably not. For curiosity’s sake, it’s alright, but I wouldn’t go out of my way to buy it. Well, since we’re here, I might as well tell youse about other games I got recently. I was at CEX today, as always, and was actually thinking about getting Metal Gear Solid 5: Ground Zeroes on the PS4, now that I have one, that was until I’ve heard that a PC version is coming soon, so I decided to wait and see if that gets a retail release, if not, then I’ll get it on PS4. 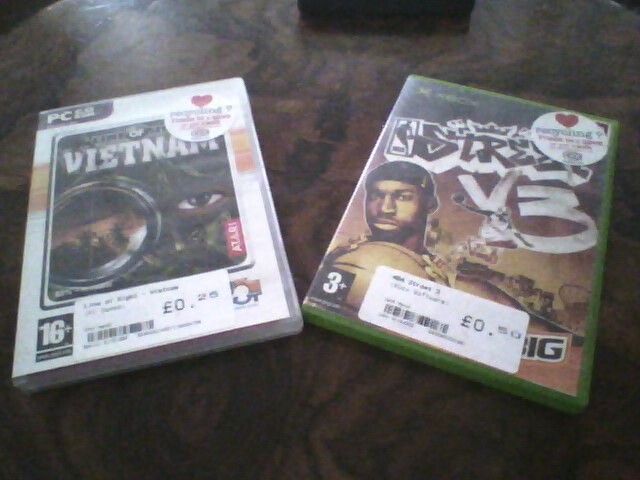 I did pick up some other games though, like NBA Street 3 for the Xbox, and a cheap sniper FPS on the PC, all for a wallet busting 75p! 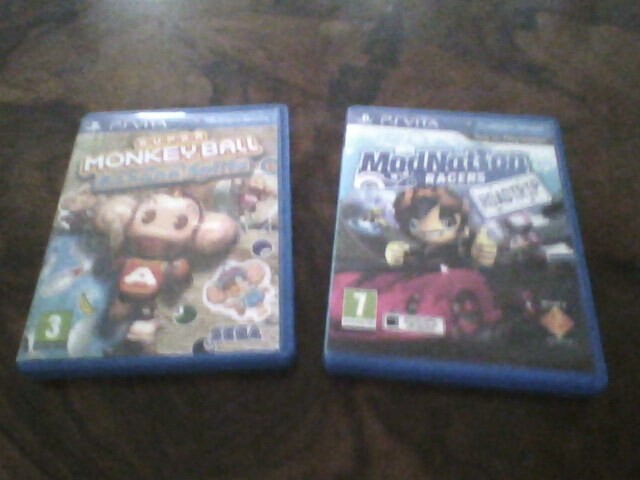 I also got a couple of PSVita games. 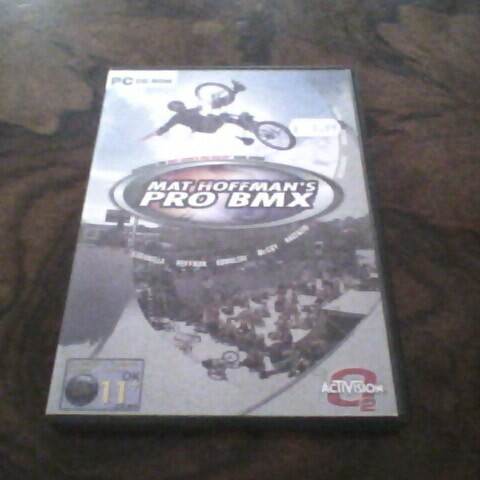 I stopped by GForce and got Mat Hoffman’s Pro BMX after seeing it for so long, I already have it, but as part of a collection, and I thought having a stand-alone version would look much nicer, and also it was only £2. I think it would look nicer anyway, what do youse think? When I arrived home, I found 2 games I ordered off of eBay arrived. Well that’s about all I got as of recent, until next time, bye!